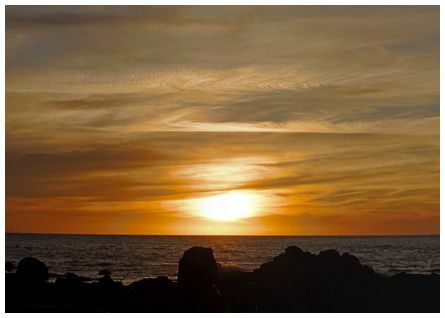 Hi James, just took this out the back door a few minutes ago. 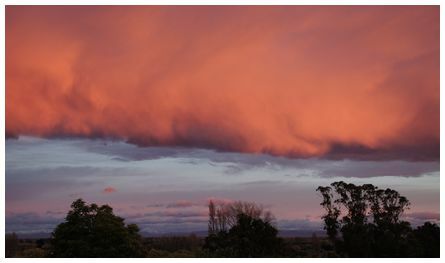 A lovely still evening with nor'west clouds and a brilliant sunset. Taken from Stoke, Nelson at 20:05 on 26 October 2017 with Canon SX710HS. Cheers, Ian McGuire. 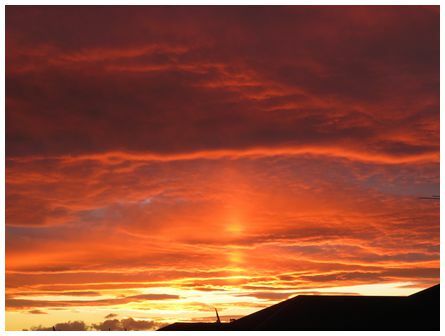 Photo shows a fabulous sun pillar (JMcG). 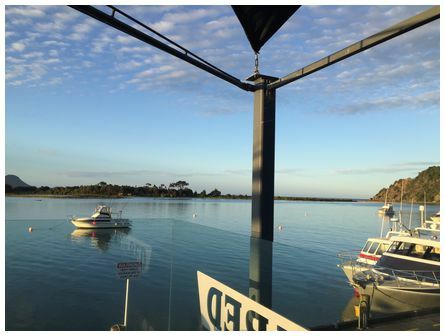 Sunset over the Whakatane River from the Whakatane Fishing Club at 19:04 on 20 October 2017. 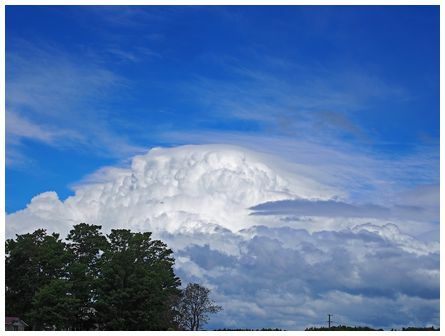 Congested towering cumulus, with pileus. Taken from Canterbury Gliding Club, Springfield, looking SW. 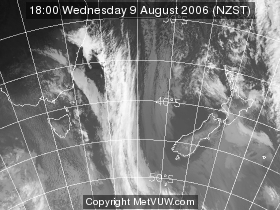 The cloud is probably E of Methven, moving east before displaying electrical activity. Taken Monday 23 October 2017; at 14:45 Camera: Olympus EPL5; 1/800 F/11; ISO 200; 42mm lens. Kind Regards, John Goddard. 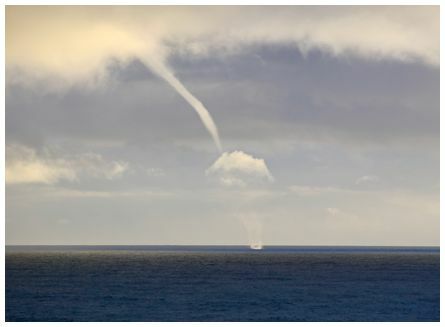 Richard was photographing at Dolomite Point at Punakaiki as a waterspout formed about 1km south and lasted for 2 minutes as it travelled northwards. Taken on 21 October 2017 with a Canon 5DSR, f2.8, 70-200mm lens. 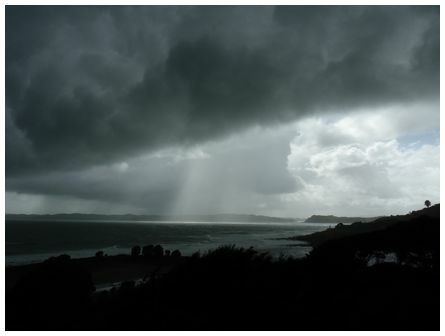 'Fast moving cold westerly shower making land over Raglan harbour entrance, with a few streaks of sunshine still showing through before the heavy rain hits. Taken 11:00 on Saturday 16 September 2017' wrote Fred.